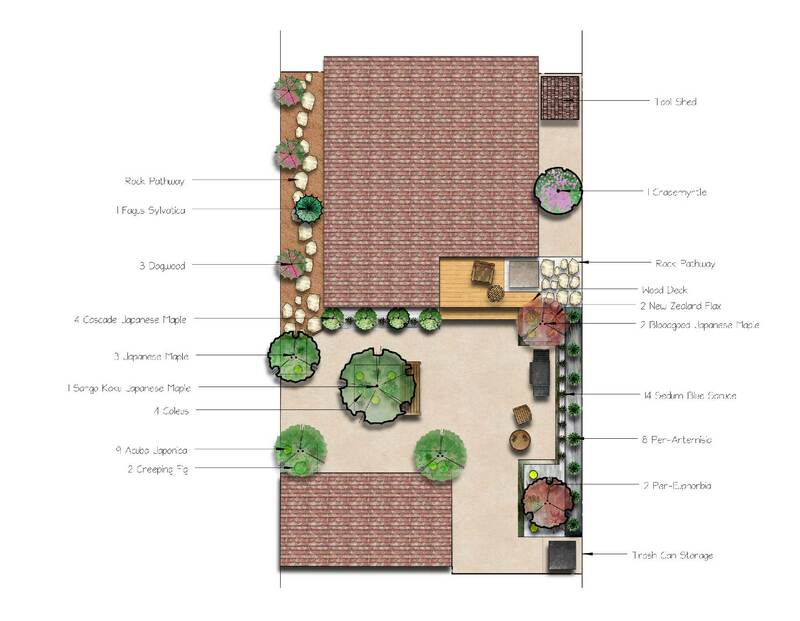 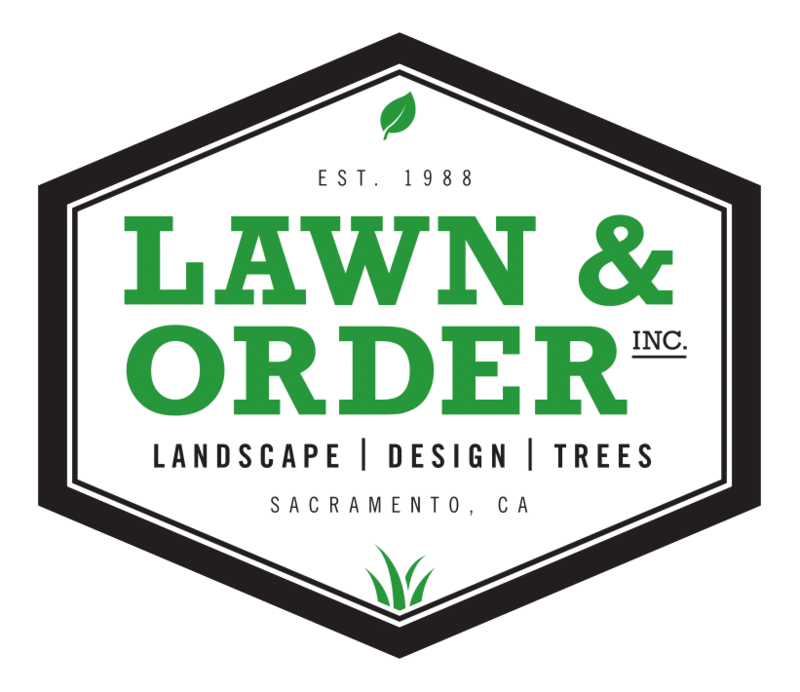 This customer wanted a one-of-a-kind backyard to distinguish their small yard from others in the area. 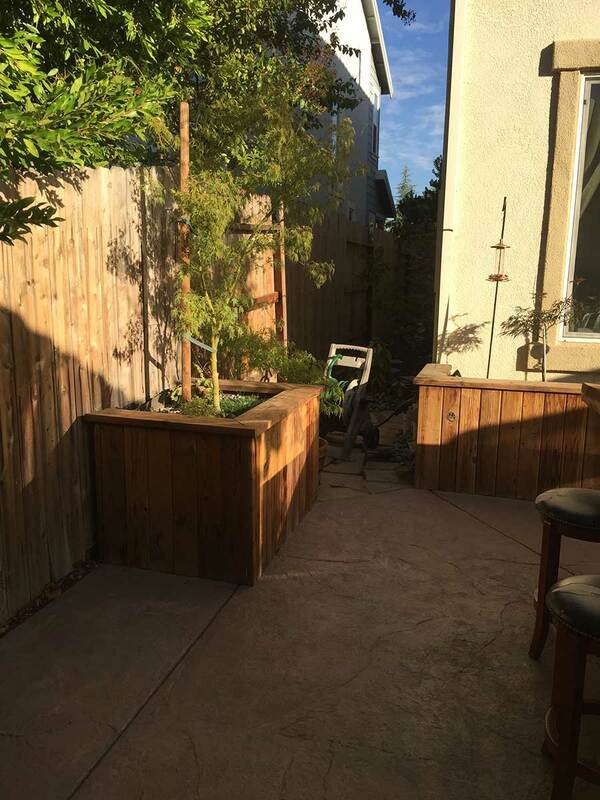 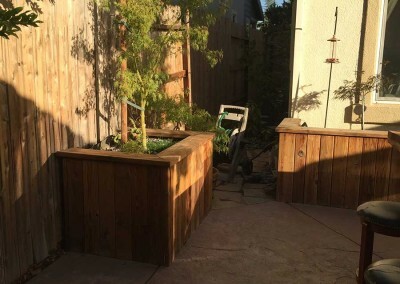 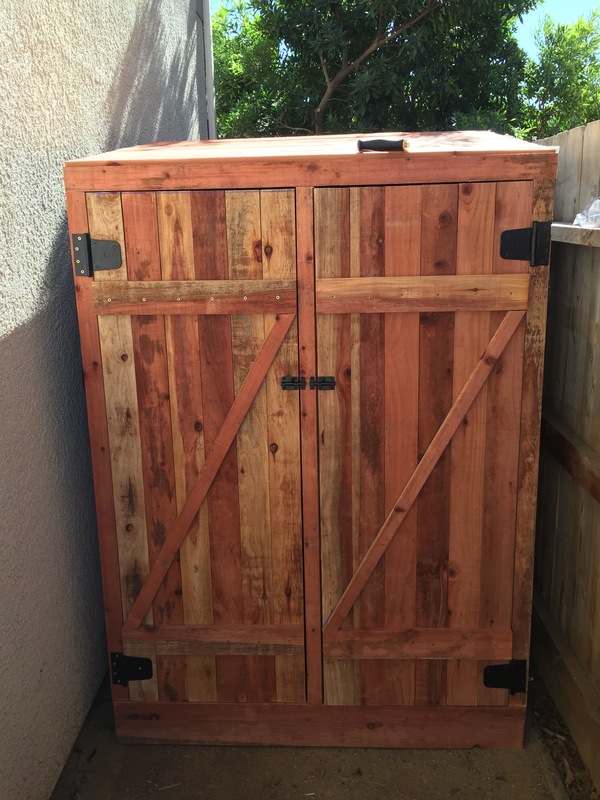 They had a reserve of 50 year old redwood decking that they wanted to repurpose into backyard planters. 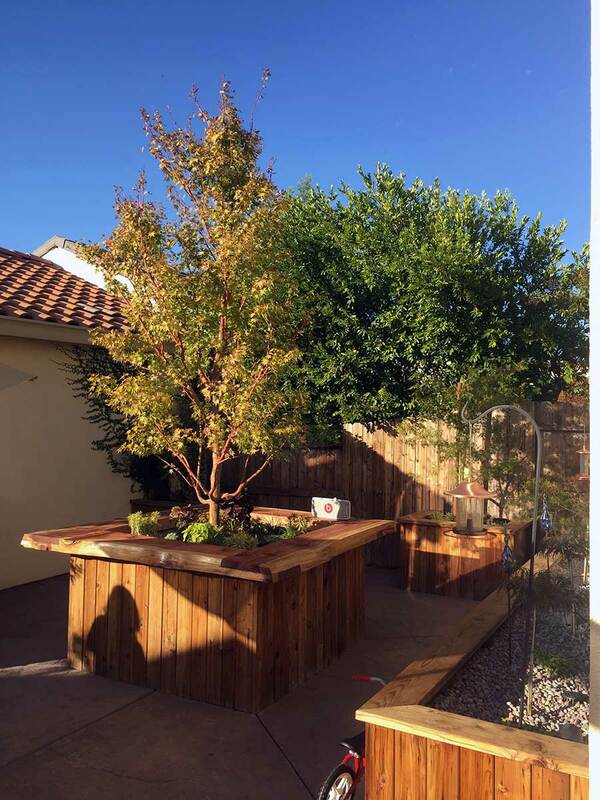 They also wanted an entertaining area that could double as a planter. 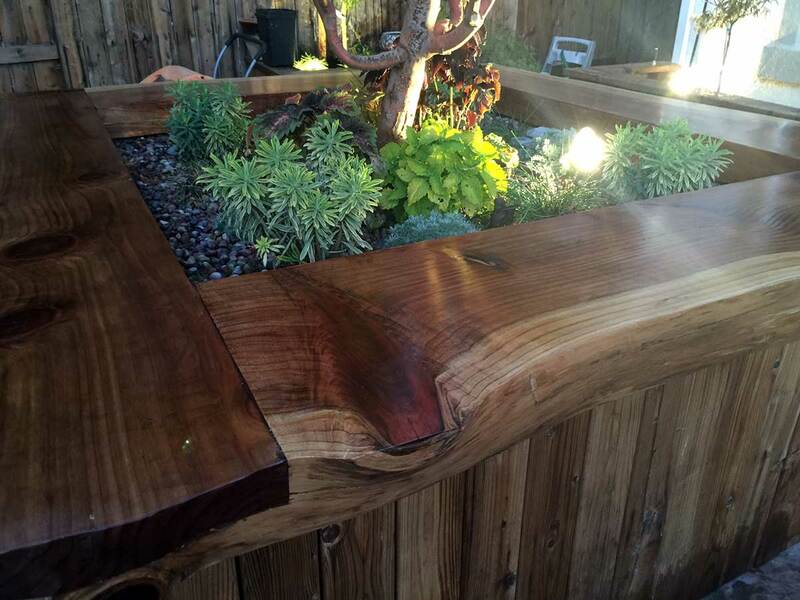 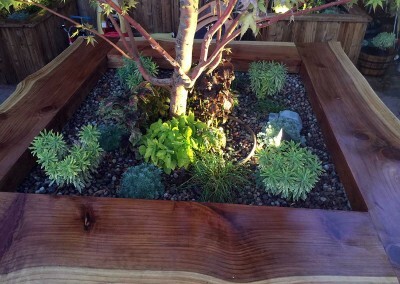 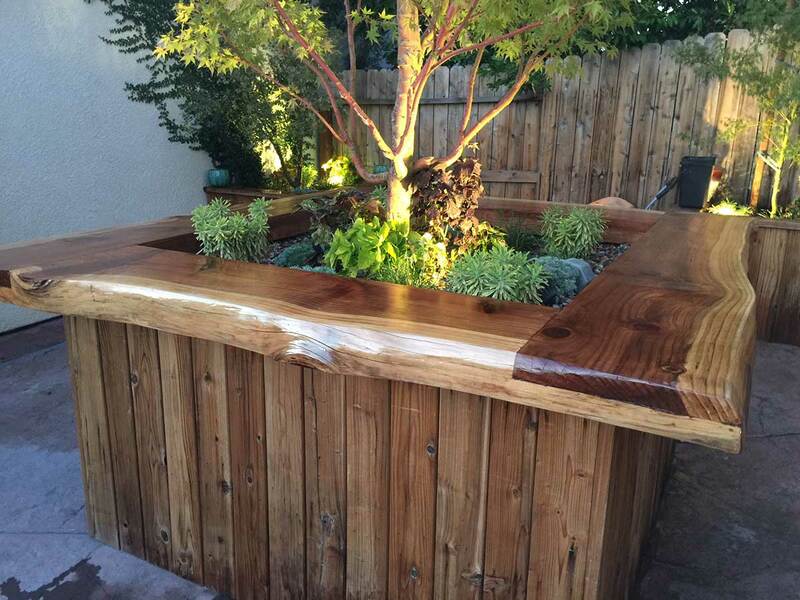 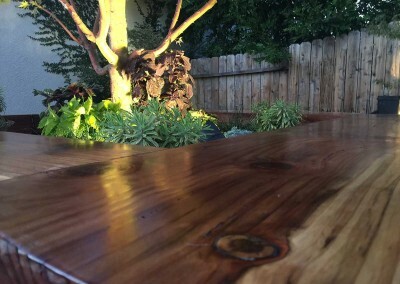 Our designer created a custom bar top planter using redwood planks. 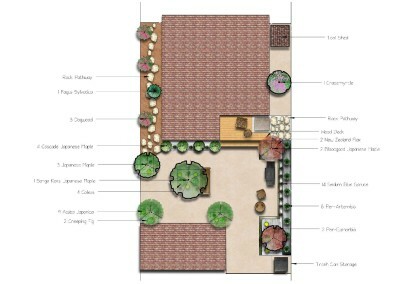 A Japanese maple was placed in the center with colorful coleus throughout the planter. 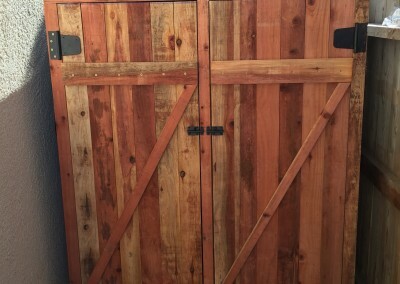 The rest of the redwood was used to make raised planters that give the yard vertical variance. 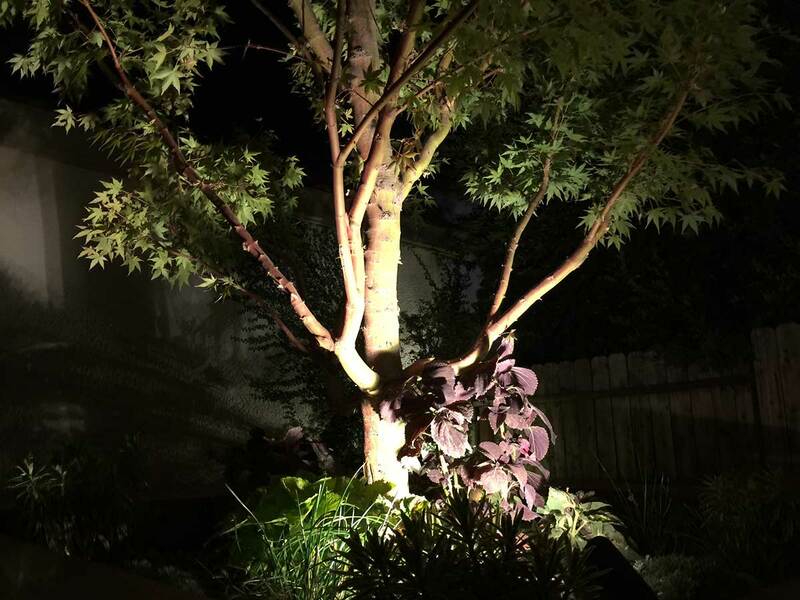 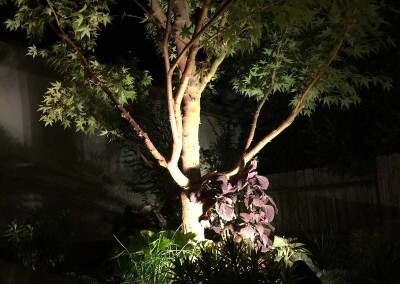 Smaller Japanese Maples were used in those planters along with LED lights and vines to hide the detached garage. 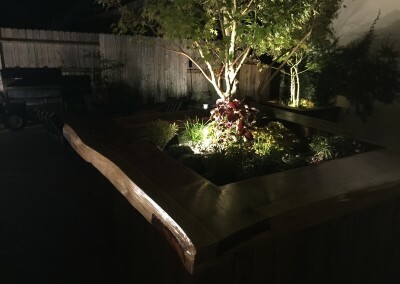 A custom redwood deck was installed right off the backdoor and Japanese Maples bookend the BBQ pad where an outdoor kitchen will be installed at a later date. 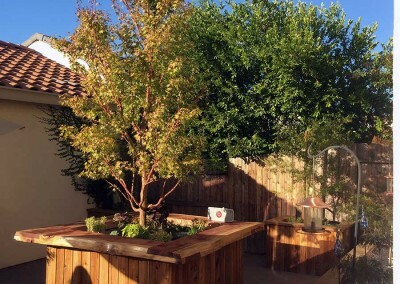 Overall, the yard gives the customer ample entertaining space without sacrificing custom features that give the yard a truly unique feel.